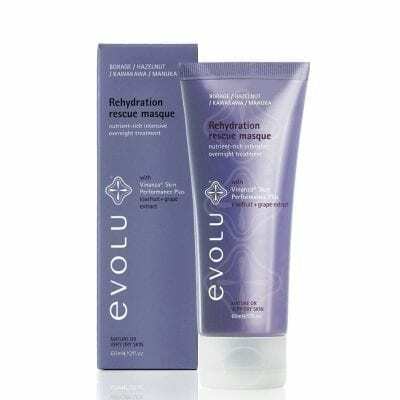 This luxurious facial masque will rescue your skin from the visible effects of long-term dryness and nutrient depletion. Potent botanical actives deliver deeper, more lasting hydration, to reverse persistent moisture-loss and restore balance. Rehydration Rescue Face Masque 60ml or try the mini 30ml size option. Vinanza® kiwifruit and grape extract improves skin elasticity and helps retain moisture and reduce redness. Vitamins, proteins and omega-6 fatty acids from Borage oil and Hazelnut help stimulate healthy circulation and cell renewal, blending with calming New Zealand Kawakawa to soothe, deeply replenish and renew radiance. View all our face masks here.